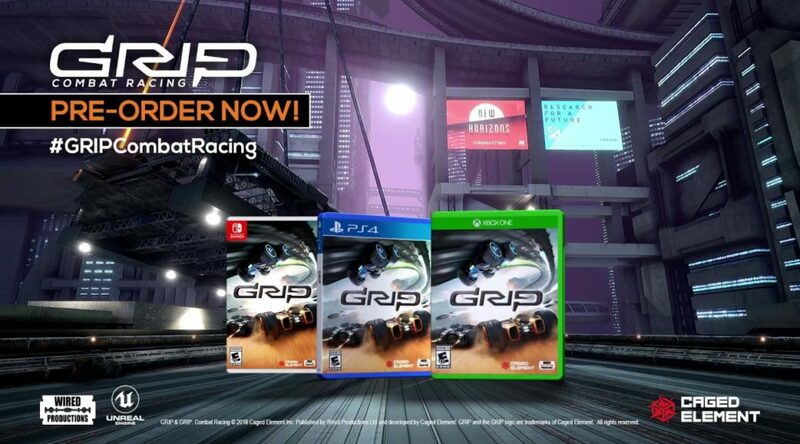 Wired Productions and Caged Element have announced new multiplayer details for GRIP: Combat Racing, hitting Nintendo Switch on November 6. Details they’ve revealed include split-screen co-op play, 10 player online multiplaer with full lobby and matchmaking support, and full tournament building support. Wired Productions Ltd., a leading independent video games publisher, and developer Caged Element Inc. are delighted to share details on the multiplayer features forGRIP: Combat Racing – a ferociously fast, futuristic arcade combat racer – including split-screen, tournament creation and online leaderboards.